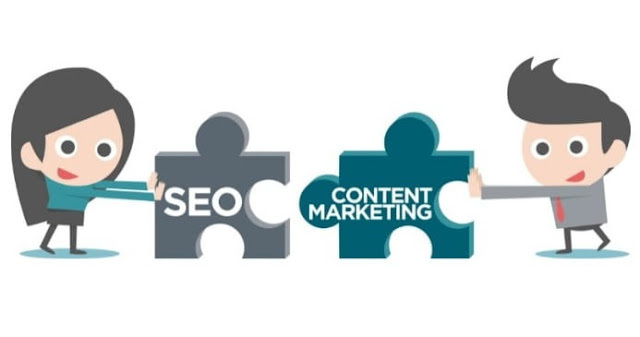 Content Marketing and SEO are two distinctive but corresponding marketing approaches and can be a massively effective combination when implemented efficiently. Both are complex subjects and extremely worthwhile / valuable strategies in their own right. But to truly receive the benefits of one technique, it is certainly beneficial to have a strong grasp of the other, in order to align a better performing campaign. Content marketing is a strategy which is all about creating and distributing appealing, informative and relevant content that is entertaining and helpful for customers and prospects. The main purpose of content marketing is to compliment your existing digital marketing strategy and expose your business. Content can be produced in all kinds of shapes, sizes, formats, styles and creative ways with multiple intentions and end goals. The overall concept is essentially attaching your company’s ownership to something which is tangibly shareable and engaging. This has the power to alert, fascinate and encourage your targeted audience into an action or psychological process. Your content should be planned and built around a whole strategy which intends to align the content with an outreach plan and to target the appropriate entry level of your funnel. This creates a solid foundation for prospects to eventually filter through and consent to view and possibly (hopefully) purchase your products or service. Your content should be very much convincing, respectable, high quality and should contain relevant information for the target audience because that’s what is going to convert into physical results. SEO - an abbreviation of Search Engine Optimization, is a powerful marketing technique which is ultimately applied to improve one’s website visibility in a web search engine, taking advantage of the search analytical insights and opportunities. The main task of this technique is to improve the rank of the particular website for a certain search query. The results of which can be natural, organic or earned. Some of these are intelligently maneuvered and worked for whereas there are some paid too. Ranking for the keywords which your potential customers are searching for and capitalizing on these opportunities by positioning above others and showcasing a greater authority and trust value. ● Drive traffic to your website directly which later results in lead generation opportunities. ● Publishing high-quality content on a regular basis enhances your brand image. ● Increases your website’s credibility and visibility. ● Can assist in capturing of email addresses for further usage. ● Addressing your content on current and controversial topics help you reach out more customers. ● It helps you develop long lasting relationship with customers as you create content which provides a customer service element. ● It can offer a competitive advantage - allows you to have a platform to differentiate from your competitors and add value. ● When your website ranks higher in the search engine then you are logically going to have larger number of traffic on your website due to greater impressions and exposure. ● You have more chances of converting those click into a sale which will in return lead to a better ROI. ● It is very cost effective. Once you rank highly for the relevant search queries, you don’t need to pay-per-click. Due to natural or say organic listings, it’s absolutely free. ● Practical value - automatically collected within the search engines and saves you the time of manual distribution. ● Finding a website on the top of the Google list, one assumes it to be the most reputable brand or website and yes, it is in terms of the Internet’s understanding. ● It helps you build relationships and gives you a level of domain authority and the leverage that comes with it. ● SEO is a tool used by content marketers to expose their content and drive greater traffic. ● Content is a prerequisite of SEO strategy. With the level of quality being a variable. But better quality content enables the performance to be enhanced. If you can distribute your content accordingly, depending on its purpose, you won't need to rely on SEO primarily, or in isolation. Or it might not be the type of content which naturally suits a search engine term or keyword at either end of the funnel - too competitive or alternatively not searched enough. But there is a glass ceiling and a point where, whichever purpose your content is aimed at, it will be enhanced by SEO techniques. And logically it is a great way to increase your traffic volume as it is the most specific form of guiding content towards finding the targeted audience for conversion. Whilst your social outreach campaign may brush the sides with many, creating impressions which satisfy on a vanity level, but in conclusion, impact with no body. There is a stronger conversion and relevance opportunity through SEO with qualified repeat-ability. Ranking well with less valuable content might not be sustainable. The search engine crawlers are insanely intelligent and will understand and digest the signals pointing to genuinely decent, strong-level content, using various metrics and reward that within its algorithm. Lower bounce rate, average session durations, comment activity, organic shares etc. all suggesting of an authoritative piece of content, resonating positively within the system. It is said that producing legitimately quality content will perform in the search engines naturally. But it is a cruel world we live in and sometimes life is just not fair. Whilst this is a lovely thought, it is slightly idealist and the truth is that there is a lot of undiscovered content out there which is certainly excellent, lacking the necessary tools to rank accordingly. Therefore proving that it requires a combination of both genuinely good content, catalysed by clever adjustments with regards to the layout, design and structure as an overall package. But ultimately, with SEO you can rank with poor content - it is just more challenging and requires more technical efforts to hold it place further down the line. Content marketing designed with the search engine in mind or a landing page created for certain keywords is the way forward. Content is the branding side where as SEO is the scientific element. You need to achieve backlinks to benefit the content on your site and allow it to reach its full potential. Content marketing fulfills the demand of SEO and in return SEO helps it ranking top in the search engine. You could have a world class piece of content which isn’t a fit for SEO, and not providing any substance or use. Alternatively a less worthwhile piece could be massively effective. Somewhere along the line there needs to be a compromise made to generate the results. Autho Bio: Anthony Musker: I am a content writer at Whoisvisiting.com, whilst also involved in marketing activities including email, social and SEO - I have various experience in sales and marketing environments, working for startup companies and in the PR and search engine optimization industry. I hope you enjoyed this article about the complex relationship between search engine optimization and content marketing. Interested in more articles about SEO & Content Marketing?